This is contained in a statement on Friday in Lagos by the Head of Public Relations, NIMASA, Hajia Lami Tumaka. She said the collision involving MT Elixir and MT Tank occurred midstream about 65 miles from shore, just 10 nautical miles southwest of the Bonga FPSO near Warri. Divers and other rescue personnel were still at the site of the incident where eight crew members of MT Tank appeared to have been trapped, Tumaka said in the statement. She said preliminary reports showed that the incident occurred at about 12 midnight on Monday, Oct. 19, and that MT Tank got broken in the process and was taken in by water. The Ag. 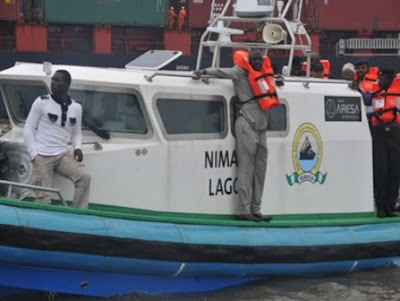 Director General of NIMASA, Mr. Haruna Baba Jauro, was said to have directed for comprehensive rescue operation and thorough investigation into the incident to ascertain the remote and immediate causes. She said Jauro expressed sadness over the loss of life occasioned by the incident urging crew members to exercise more caution in navigation especially around terminals. She said the three rescued crew members were receiving treatment at Twins Clinic Warri at the care of NIMASA, while the body of the deceased was deposited at the morgue. She said rescue operation was still ongoing for the remaining eight crew members.